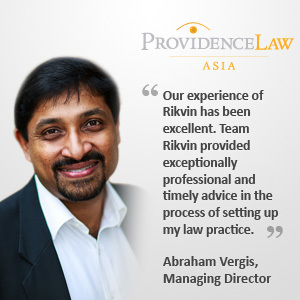 Providence Law Asia is a boutique law practice specializing in solving business disputes across Asia. We have three core practice areas. First, we solve serious and substantial corporate and commercial disputes. Our clients range from MNCs to private wealth clients. We are equally adept at international arbitrations as we are in courtroom litigations. We also handle corporate restructuring and insolvencies. Second, we have a passion for the technical complexities of construction and engineering disputes, and accounting and financial claims. Third, we offer robust criminal law advice and advocacy for corporate crimes and regulatory/statutory prosecutions. We also lead and coordinate internal investigations for fraud and compliance issues. Singapore is simply the best place in Asia to resolve pan-Asian disputes. Singapore has the legal infrastructure and international participation to make it the No. 1 venue for dispute resolution in Asia. The Singapore International Arbitration Centre is now Asia’s top dispute resolution center for cross-border disputes. The Supreme Court of Singapore is widely regarded as a world-class judiciary that is pragmatic and commercial in its approach. Finally, modern Singapore law is a forward-facing and business-sensible legal system that is in step and in sync with international commercial realities, and is a worthy alternative to English law or New York law as the governing law for contracts concluded in Asia. To establish Providence Law Asia as the Counsel of choice for complex international litigations and arbitrations across Asia. Our experience of Rikvin has been excellent. Team Rikvin provided exceptionally professional and timely advice in the process of setting up my law practice, including handling all aspects of incorporation, accounting, tax and compliance, and HR issues. Additionally, Rikvin also handled my corporate website design.